I can just feel summer a comin’! We completely skipped over Spring and have landed into Summer and I’m not complaining one bit! 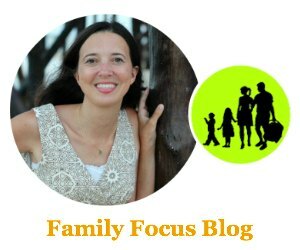 I love that the days stay lighter for longer and all the fun activities my kids can get into outside. With warmer temps come…yep, the bugs! I don’t mind lots of the bugs that come out but the ones that bite, those little suckers aren’t loved by us (or anyone for that matter). 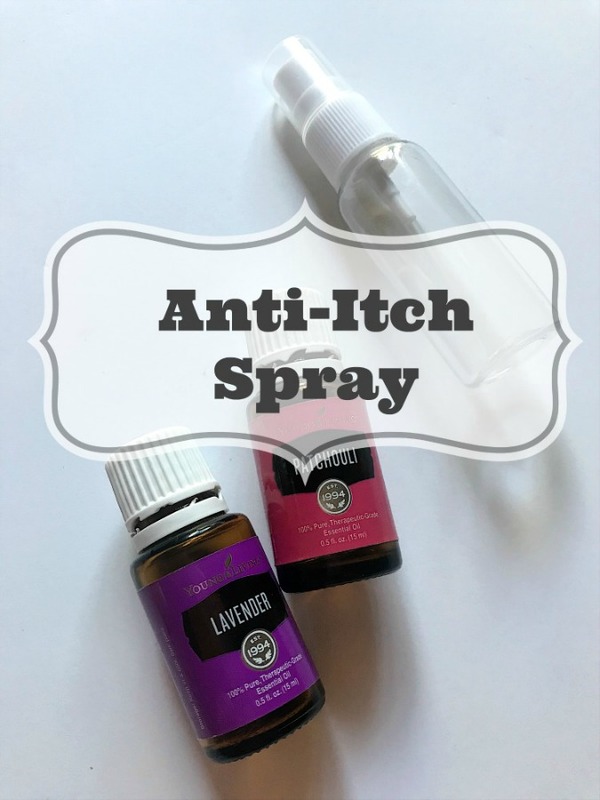 Last summer I started making a Natural Anti-Itch Spray for our bug bites and it worked like magic. 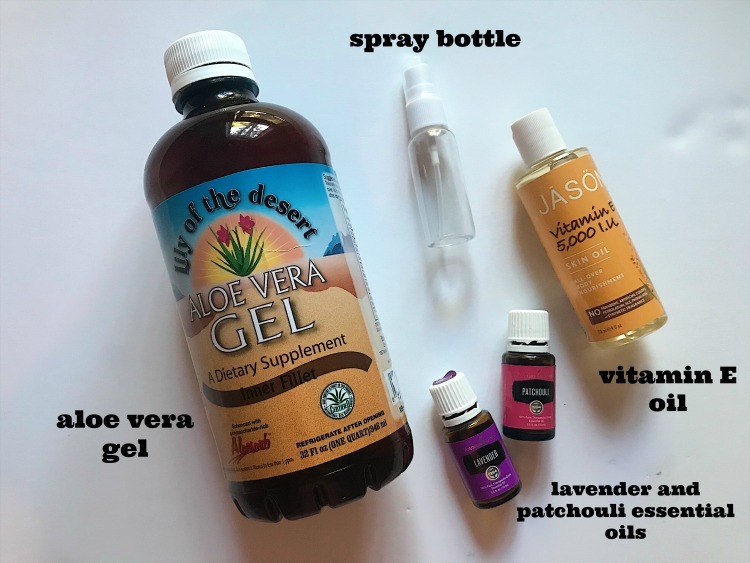 I tried out different concoctions with essential oils for bug bites and I have landed on a spray recipe that I really like. It not only takes the sting and itch out of the skin, but also heals and soothes the skin as well. This essential oils home remedy for insect bites is all natural and has only 4 ingredients so it is easy to make. It takes no time at all to whip up! This is the most simple recipe but oh so effective in taking out the itch from your bug bite and healing the skin! Grab your spray bottle and take the top off. Fill your bottle halfway up with your Aloe Vera Gel. 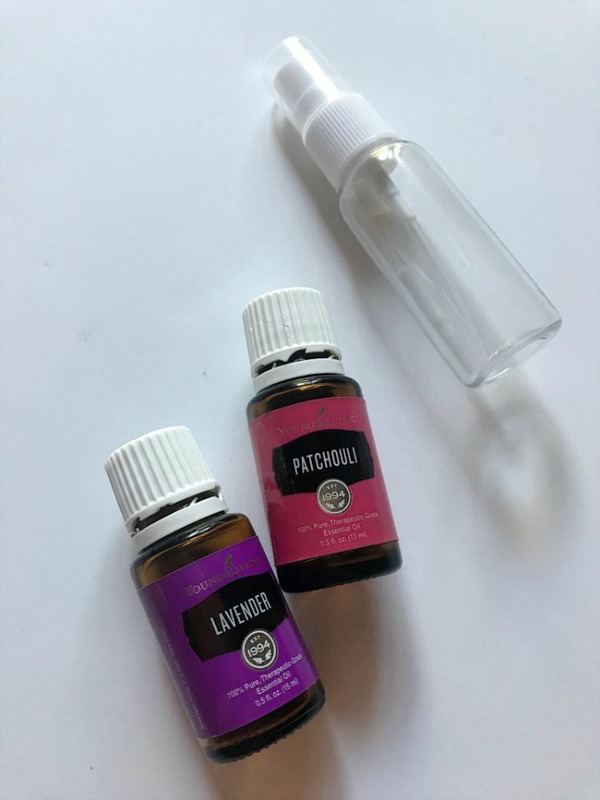 Grab your essential oils for bug bites and add 4 drops of Lavender essential oil and 4 drops of Patchouli essential oil. After you have added your Young Living essential oils, add 4 drops of Vitamin E oil and fill the rest of the bottle up with more Aloe Vera Gel. Give it a good shake and your natural bug bit relief is ready! Shake before each use. Spray directly on bug bite and gently rub in. Can be sprayed on as often as needed! If you are looking for effective natural remedies for bug bites, I am sure you will like this Home Remedy For Bug Bites. Give it a try and let us know how you like it! You may also be interested in this recipe to make natural insect repellant that works.